With more than 400 species of birds, Arenal turns into a very rich area for birding, with less than 5 hectares our wildlife refuge has reported more than 150 species within the property, it's avifauna includes the most popular full of color species of Costa Rica. For the visiting birder, this tour presents the obvious advantage of compactness combined with excellent tour guides, delicious breakfast in front of bird feeders, stunning scenery and friendly staff. 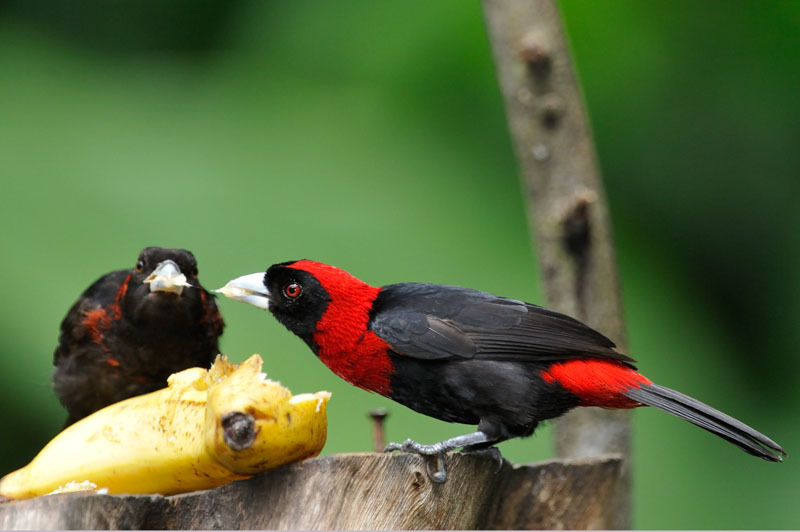 Our bird watching tour concentrates on the best birding areas, from the opening too deep in the forest. -We recommend wearing comfortable walking shoes (preferably with a thick tread for hiking the trails and hundreds of stairs. -Shorts or comfortable pants and a lightweight jacket or raincoat. * Please keep in mind that the park ranges in altitude from 5,200 feet to 4,200 feet so it can get chilly when the clouds roll in.